Last October, almost 20,000 people from every corner of Scotland and its society– members of many different trades unions and political parties and those with no affiliation; veteran activists and people protesting for the first time; pensioners and students – converged on Edinburgh to call for a different approach to the UK’s recovery than the huge cuts in public spending and services that were being planned by the Westminster government at the time. If a week is a long time in politics, then a year certainly is: since Scots called for a better way, there has been no let-up in the torrent of changes that threaten to stall the recovery we so badly need and which hit the most vulnerable the hardest: changes to the indexing of benefits that will make them fall in value – even as the cost of living soars; attacks on public sector pensions and the de-funding of higher education, just to name a few. It is clear, then, that it is time for Scots to march again: to that end, the Scottish Trades Union Congress (STUC), in partnership with a whole range of groups from every part of civic Scotland is organizing another opportunity for us to gather together to march for a vision of a different, better country: on Saturday October 1st, thousands will take to the streets again – this time in Glasgow, marching from Glasgow Green to a rally in Kelvingrove Park. There will be speeches from a range of political figures, including Tony Benn, a series of Fringe events and workshops and as an expression of solidarity with those suffering from the current famine in Africa, there will be initiatives to raise funds for the Disasters Emergency Committee East Africa crisis appeal. To challenge rising levels of poverty and inequality and to campaign for redistribution of wealth right across the world. More equal societies tend to have better outcomes in terms of a whole range of measures, including health, education and crime, yet inequality has been increasing inexorably for more than two decades and poverty still blights the lives of many. People should have not only the theoretical opportunity for a better life but access to the services and benefits that allow them to seize those chances, and so we will march for the more comprehensive redistribution of both opportunities and wealth from top to bottom. To campaign to protect those hardest hit by service and benefit cuts. The character of a society can be best judged from how it treats those who are most in need and so we are rallying around sick and disabled people, those needing social care, pensioners and children, whose services and benefits – and therefore the decent standard of living that everyone has a right to – are under threat. To help to build and reconnect Scotland’s communities. We believe that robust, caring and active local communities have to be the foundation for a better future for our country and everyone in it, and so we will be calling for the resources needed to make these strong communities a reality again. While we hope to see as many people as possible on October 1st, there will also be a series of mobilising events to build for the march. This Saturday (September 3rd) , we will gather in Edinburgh, Glasgow, Dundee, Ayrshire, North Lanarkshire and West Lothian to spread the message and every Thursday until October there will be workshops at 5pm in the Woodlands Road offices of the STUC. Please visit www.peoplefirstoctoberfirst.org and e-mail demoupdates@stuc.org.uk for details of how to take part. 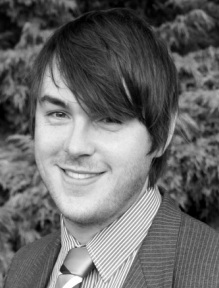 Dan Heap is a PhD student in Social Policy at Edinburgh University and a social media adviser to the STUC. He blogs at www.danheap.wordpress.com and tweets as @commentdan. If marches changed policy there would have been no war in Iraq. Edinburgh and half of Scotland will join you. Having a march in Glasgow is just superficial and pointless. Very negative responses so far. I support the march & will make an effort to be there. It is very important that as cuts come in & people’s lives are made worse there is a public demonstration that it is not necessary & that there is another way. The Tories are getting away with economic lies, given an easy ride in the press. They are making drastic spending cuts which will affect public services & genuine benefit claimants because they want to, not because they have to. Those of us who don’t think they should get away with that should say that in a public way. The rest of you can stay at home. The problem here, Observer, is that ALL the Unionist parties agreed that the cuts are necessary, only really disagreeing on the speed the cuts should be implemented. Don Mc there is a necessity to curtail public spending, but it is the drastic nature of the cuts that the ConDems are delivering which is the issue. They are not necessary & they are built upon a false premise that the UK faces a sovereign debt crisis, which clearly we don’t as the deficit has not reduced but government bond yields are still good. The Tories are just a bunch of lying gits. I see Labour people fighting SNP people & vice versa & in the meantime the current enemies of Scotland are lodged in 10 & 11 Downing Street. Could we not drop the unionist/nationalist divide for once & take to the streets to protest them? 1 – Darling’s infamous assertion that the cuts would be harder and deeper than during the Thatcher years. Invocing the spectre of Thatcher still has a certain resonance in Scotland and it’s the last thing we expect to hear from a Labour politician. 2 – Too many Labour politicians start foaming at the mouth when it comes to the SNP, far too many to put differences aside and work towards Scotland’s common good. The way Labour MPs acted during the Scotland Bill debate illustrates that perfectly. On this issue, definitely. I’ll be there, like I was at Edinburgh. I don’t think marches in themselves have much real impact – as the news likes to say “the protest passed off without incident” – but it’s the least we can do. I don’t feel that by marching at a trade union event I am necessarily supporting the parliamentary Labour Party and it’s unionist stance, nor would I really have a problem with it even if I was doing so, as I am only one person joining a larger body to make my voice heard on a specific issue. Plus, Tony Benn’s always worth a listen.